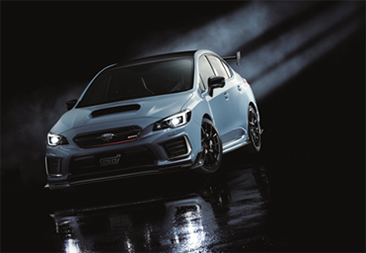 Tokyo, October 25, 2017 – Subaru Corporation and its motorsports subsidiary Subaru Tecnica International (STI)*1 today announced the S208, a special limited-edition model based on the WRX STI, with just 450 units to be available in Japan. The S208, which is based on the WRX STI, is the top-end model of Subaru high-performance cars. Subaru and STI have worked together on the exclusive development of the engine and suspensions, and added exclusive fittings to both exterior and interior, with the aim of achieving the ultimate driving car that offers the best ever performance and quality in the S series. Modifications from the S207 launched in 2015 include improved engine output and acceleration performance, and a lower center of gravity with the adoption of a carbon roof, elevating Subaru’s distinctive enjoyment of driving to the extreme. The specially tuned engine delivers maximum output of 329 PS. 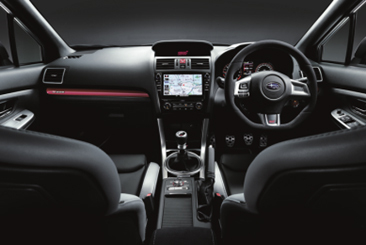 Handling is enhanced by a quick steering gear ratio of 11:1, original STI components including flexible tower brace, along with DampMatic® II front suspension with adjustable damping and front-rear Active Torque Vectoring. These combine to deliver a strong yet flexible ride and sharp cornering. STI-designed BBS 19-inch forged aluminum wheels, 255/35R19 tires, and a dry carbon-fiber trunk lip spoiler further enhance driving performance. The large front underspoiler adopted for the exterior and the STI-designed Recaro front bucket seats and exclusive sports instruments in the interior add to the anticipation for driving and joy of ownership. Evoking the spirit of the 24 Hours Nürburgring, where the WRX STI continues to compete, an NBR Challenge Package is also available (limited to 350 units), featuring a dry carbon-fiber roof and a dry carbon-fiber rear spoiler with S208 logo. The S208 is available in two body colors, WR Blue Pearl and Crystal White Pearl. Additionally, a limited-run Cool Grey Khaki Edition is available for the NBR Challenge Package, as a model offering an even more exclusive experience. after). A sales negotiation period is set. Winning customers are asked to begin negotiations as notified in the results email. *4: There are no identical replacement parts available as this is a limited-production car. *5: Synthetic leather is used in the seat sides, headrests, and some other places. ■ RECARO® is a registered trademark of Keiper Recaro GmbH & Co.
■ Ultrasuede® is a registered trademark of Toray Industries, Inc.
which may differ from those in the table above. *6: Height includes roof antenna. The roof height is 1,460 mm. The NBR Challenge Package is limited to 350 units. Since these vehicles have been customized, they must be presented at a vehicle registration office for registration. For inquiries about products or other matters, please contact the nearest dealer, or dial Subaru Customer Center “SUBARU CALL” at 0120-05-2215.